The DrayTek Vigor 2862ac is the ideal option for almost any situation. It is SIN498 approved, supports VDSL and ADSL, has failover solutions and comes with a potent and intricately manageable firewall. It is difficult to find its match when it comes to safety and reliability. This product is supplied with power supply unit (PSU). The Vigor 2862ac is an ideal router for practically any situation due to its rich set of features. Its additional WAN ports may be used for diverse failover and traffic management alternatives and, since it supports both ADSL and VDSL, it is a long-term investment for users who wish to make that transition as a later stage. 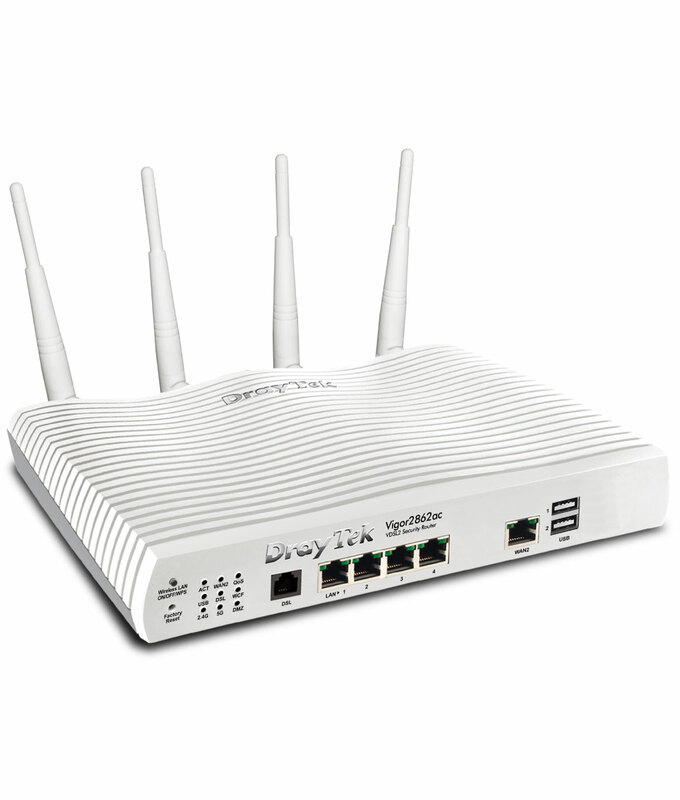 This router also comes with DrayTek’s firewall, which is both robust and sensitive to the specific needs of its users, as it can be molded through its detailed management system. This is the router for you if you’re looking for an adaptable and long-term solution.